Abraham ben Hananiah Yagel 1553-c.1624) composed his Hebrew work Gei Hizzayon (A Valley of Vision) in Italy at the end of the sixteenth century. 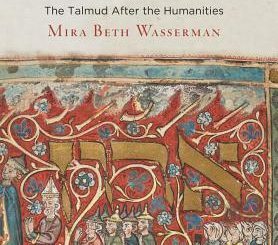 This striking text, so different from the other writings of the prolific physician, natural philosopher, and kabbalist, is first an autobiographical account of the vicissitudes of the author’s years as a Jewish loan ­banker. It is also a description of a heavenly journey he is taken on by the soul of his recently deceased father, who visits his son while he is imprisoned in Mantua for debt. 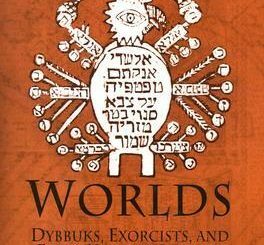 Finally, it is a series of theological and moral discussions based on the insights of Judaism, particularly the kabbalah as understood by Yagel and his Italian contemporaries. 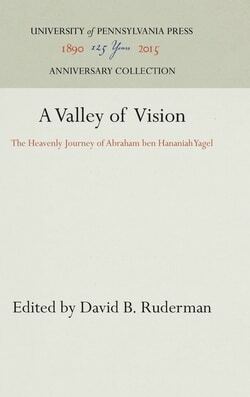 A Valley of Vision is unique in Hebrew literature in its integration of traditional Jewish materials with contemporary literary and iconographic innovations. It is also a fascinating window into the social and cultural world of Italian Jewry at the end of the sixteenth century and its effect on the entire late Renaissance period. 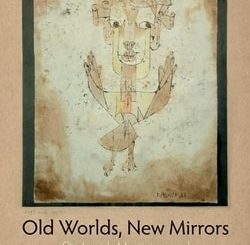 David B. Ruderman’s is the first translation of this important work into any Western language. The book will be of great interest to both the specialist and the general reader of Jewish and late Renaissance history, thought, and literature.